Patience is wearing thin among the million people on the U.S. East Coast still waiting for the electricity to come back on after Hurricane Irene knocked out the power last weekend. "It's like Little House on the Prairie times," said Debbie McWeeney, who went to a Red Cross shelter in Warwick, R.I., to pick up food and water after everything in her refrigerator went bad. "Except I'm not enjoying it at all." Residents from Maine to North Carolina have been coping with cold showers, meals in the dark, refrigerators full of spoiled food, no TV and no internet. With the waters receding across much of the flood-stricken region, homeowners are mucking out their basements and dragging soggy furniture to the curb. But the wait for power drags on, with an estimated 1.3 million homes and businesses still without electricity, down from a peak of 9.6 million. Criticism of the utility companies is mounting. In Rhode Island, a state senator is calling for an investigation, and the attorney general for Massachusetts is demanding information from utilities on how they are dealing with the crisis, including how many crews are in the field and their response time. The industry has defended its efforts, saying that it warned the public that a storm like Irene was bound to cause prolonged outages and that that flooding and toppled trees caused severe damage to utility poles, substations and other equipment. Tim Horan, a Rhode Island executive for the electricity transmission company National Grid, said crews from as far as Kansas and Idaho are working 16-hour shifts. In the meantime, people are taking cold showers or washing up at shelters, using camp stoves and grills to cook, competing for ice at the grocery store and relying on generators and hand-cranked radios. The late-summer weather, at least, has been mercifully cool across much of the East Coast. Many homes that depend on wells have no water because they have no electricity to pump it. Relief agencies have been handing out drinking water. A high school in Exeter, R.I., opened its gym to let people shower. In some places, people on oxygen or other medical devices that require electricity have been taken to shelters that have power. Irene has been blamed for at least 46 deaths in 13 states. In Vermont, with roads slowly reopening, the National Guard's airlift of food, water and other supplies to once cut-off towns was winding down. 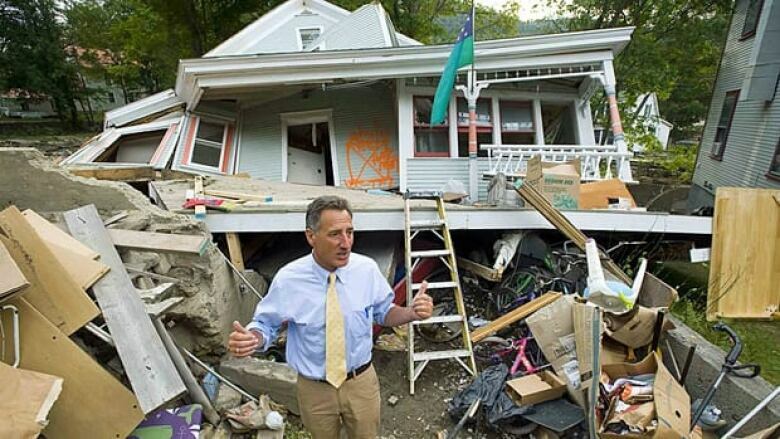 But Vermont faced new danger Thursday evening: A flash flood warning was issued for the Rutland area after two to five inches of rain fell. Politicians have been inundated with complaints from people who say it is taking too long for the power to come back. Rhode Island state senator John Tassoni Jr. on Thursday called on the state Public Utilities Commission to investigate National Grid. "It is getting near to a week since the storm passed through our area and many Rhode Islanders are still without electricity," he said. "I think we need to ask the company some very pointed questions about its preparation for storms and the speed of its response to them." William Bryan, deputy assistant secretary of the U.S. Energy Department, said it typically takes at least a few days to restore power after a storm like Irene, and National Grid "has done a great job. They ought to be commended for that. You are well ahead of the curve for restoration." Other services are recovering slowly. Amtrak said Thursday it has restored its train service on routes from Chicago to New York and Boston, from New York to Albany, and between Harrisburg, Pa., and New York via Philadelphia. The flagship Acela service between Washington and Boston is already up and running again. 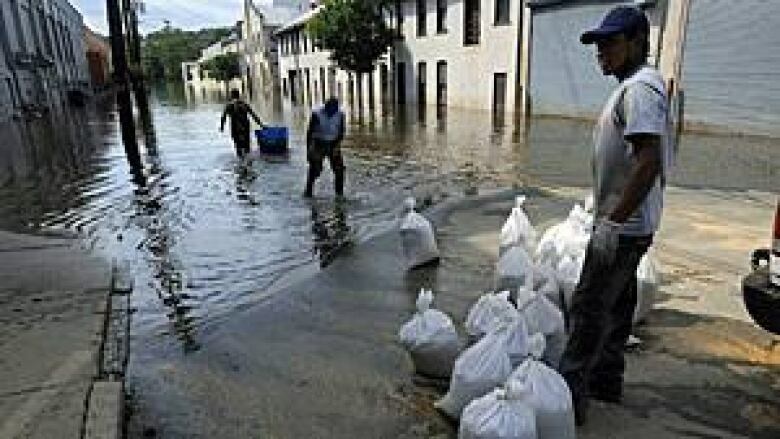 And there is reprieve for hurricane-hit taxpayers from the U.S. Internal Revenue Service, which said Thursday it is extending tax payment deadlines for some individuals and businesses affected by Hurricane Irene. The tax relief, for people and corporations in certain affected areas, allows businesses that had previously obtained extensions until Sept. 15 to file 2010 returns to wait until Oct. 31. Also given extensions until Oct. 31 are individuals and businesses required to file 2010 returns by Oct. 17 and those who normally would make third-quarter estimated tax payments by Sept. 15.